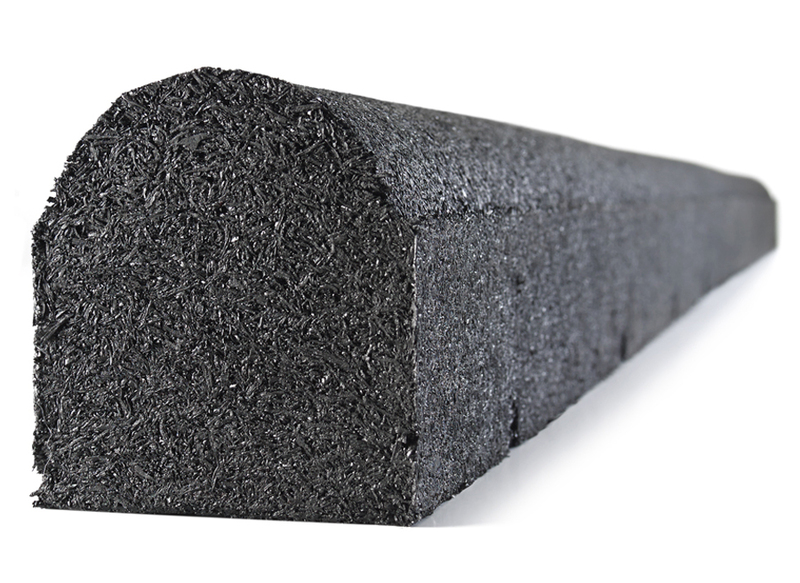 There is no question that if you are looking for the safest playground surface available today, recycled rubber mulch is the clear winner when it comes to reducing bumps and bruises. Rubber mulch has a fall height rating more than 2X that of wood mulch and more than 3X playground sand. In addition to mulch, we also offer mats, and playground timbers to add yet another layer of safety to the backyard play area. 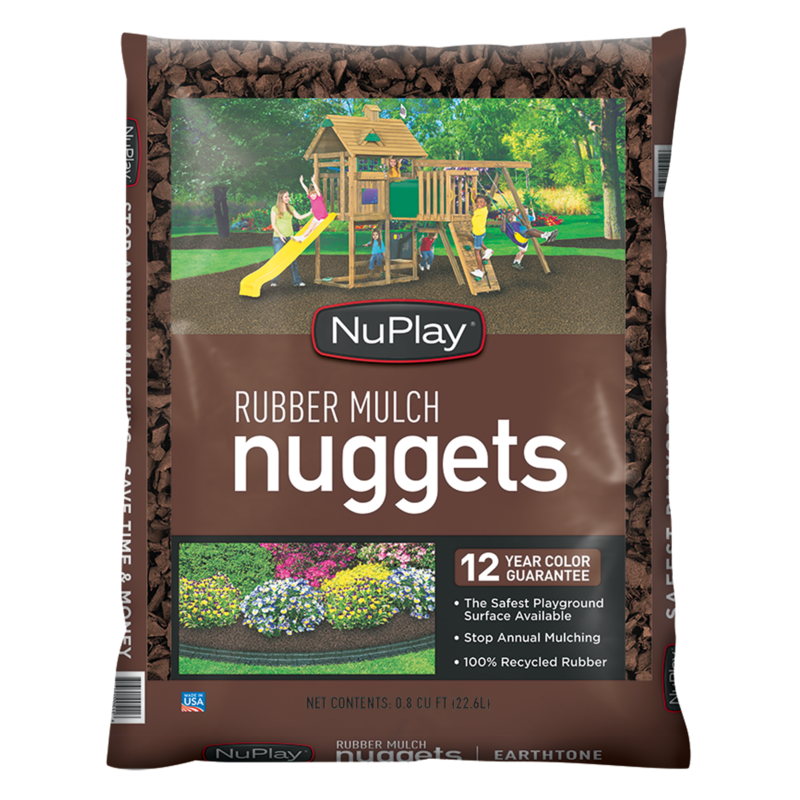 NuPlay Rubber Mulch Nuggets, made from 100% recycled rubber, is the safest playgrounds surface on the market today with fall height ratings in excess of 16 feet. It will also look great for year with a 12-year color warranty against fading. Rubberific Timbers are the ideal border for the backyard playground. Made from 100% recycled rubber their only design limitation is your imagination. Rubberific Swing Mats were designed to be placed in playgrounds below swings and slides where mulch is kicked out by playful children. 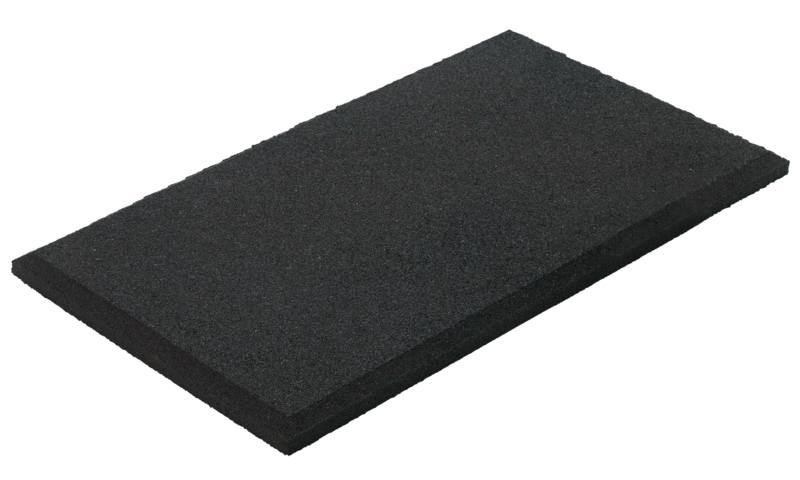 These heavy duty mats stay in place, keeping children safe.